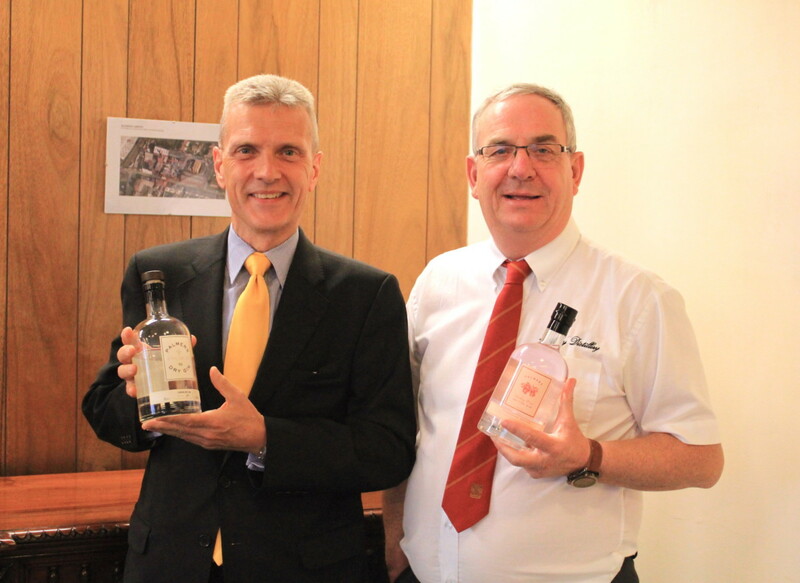 Langley Distillery is one of the UK’s last remaining independent family owned distilleries dating back to 1805. 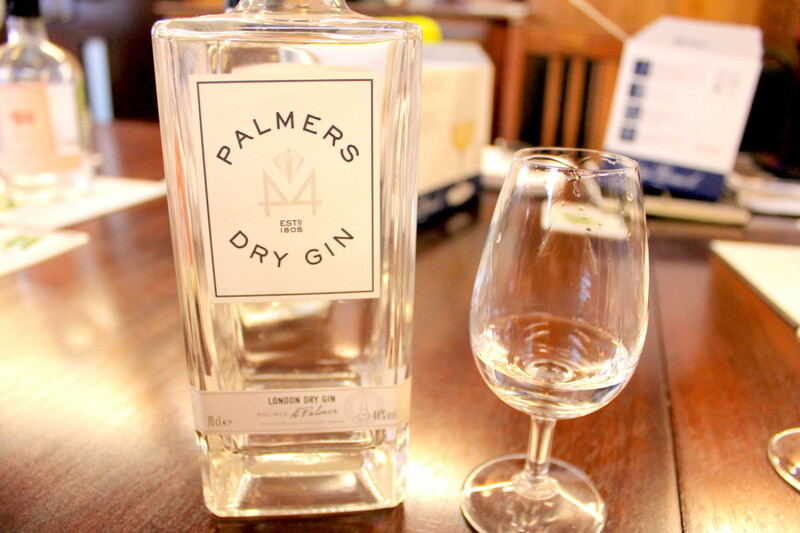 Created by the Palmer family, this distillery is situated in the heart of the Black Country. 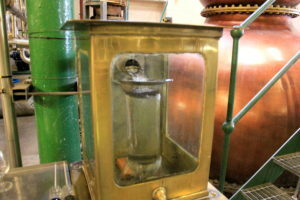 They have a number of original copper pot stills which are clearly very old (but still very much in use). Jenny the Still has been in operation since 1994, and at 12,000 litres she is believed to be one the largest stills in Europe! 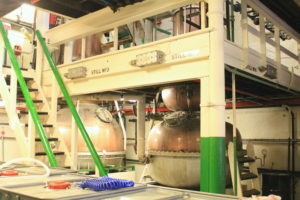 They actually are going to beat their own record soon with their new 15,000-litre still, named Natalie. Natalie is actually the daughter of Adam Wallis (Managing Director) and also is the granddaughter of Angela Palmer. Angela is not only the name of one of the stills in the distillery, but was an important lady in the Palmer history. 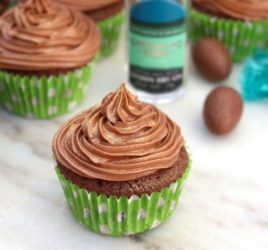 She created a gin recipe that was given as gifts to staff members. 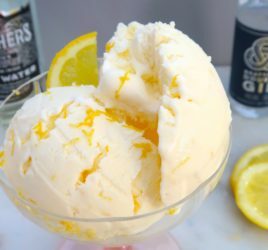 This recipe has been handed down and now jazzed up a bit to become the Palmer’s Gin today! What a great story! 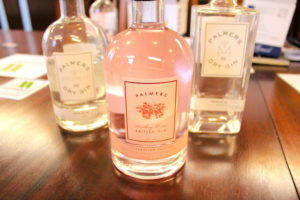 Palmer’s currently have three gins available. A London Dry and their Distiller’s Cut, as well as their very lovely Strawberry and Rose gin! London Dry & Distiller’s Cut Botanicals: Juniper berries, coriander seeds, cassia bark, liquorice root, angelica root, orris root and grapefruit. These are left to infuse overnight before being gently warmed to allow the botanicals to release their essential oils. 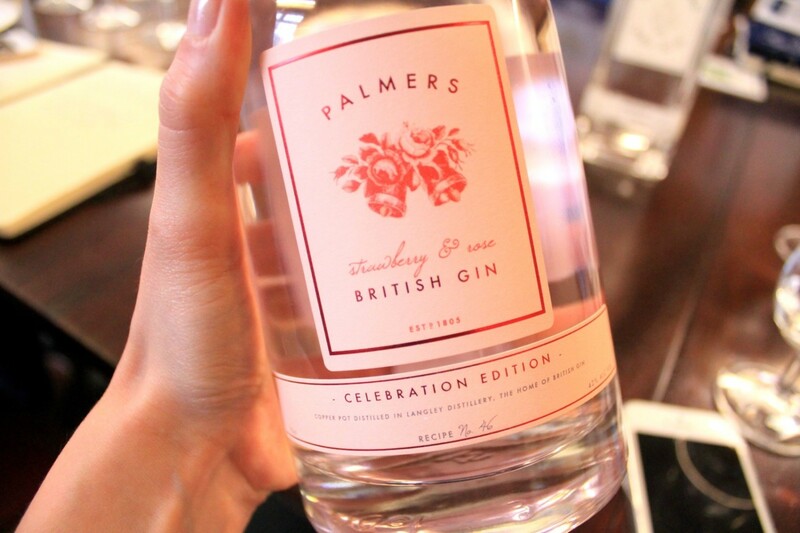 Palmers Celebration gin is traditionally distilled with British Rose petals and strawberries. 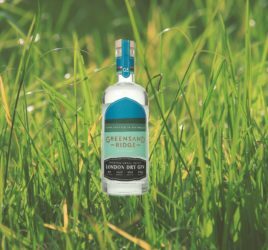 They produced this special gin to celebrate the wedding of Prince Harry and Meghan earlier this year! I loved the fruity and floral notes of this gin. Perfect for the summer sunshine! 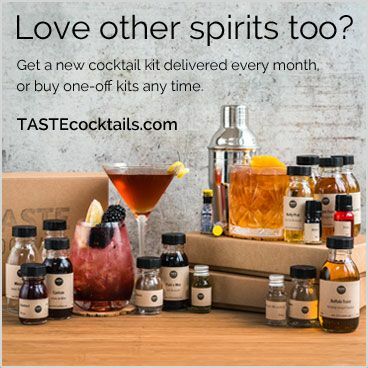 Want to try more gins each month?! 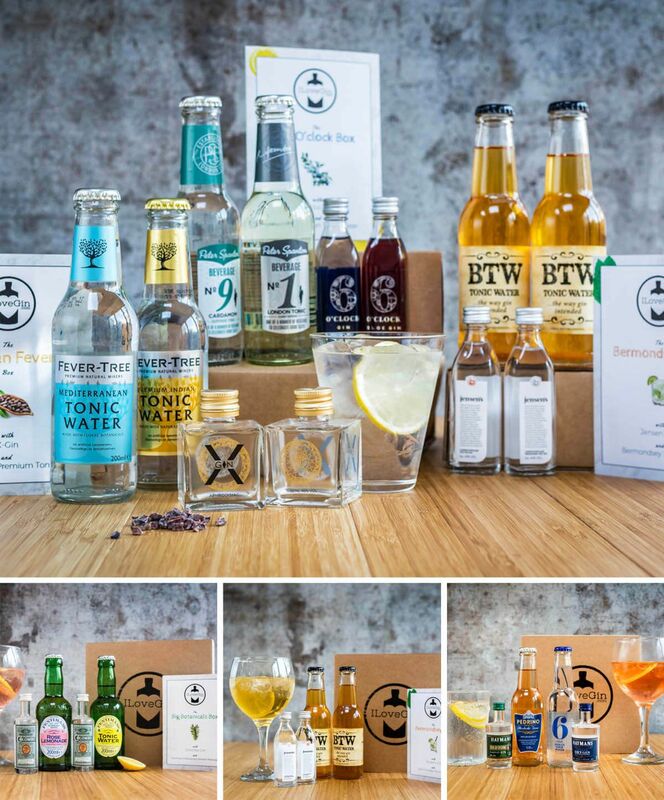 Why not join the ILoveGin club where we send you a new box like the ones below for just £14/m inc free delivery, you’ll get 2 new gins and 2 tonic/mixers each month to try, enough to make 4 G&Ts plus discounts on full size bottles.